« Elle James: Ugly Stick Saloon Rides Again! You always see these posts about cowboys and what they want. Lemme tell you, I’ve been in Texas for years and cowgirls have their needs, too. Cowgirls aren’t just those girls and women who ride horses day in and day out. They live in big cities. They live in suburbia. They live in small towns. They live around big animals—cows and horses. They have cats or dogs, or both. They’re single. They’re married. They have families. They drive a mini or a big truck, they can change their tires or use an Uber. They’re independent, their strong, and they know who they are and what they want. Cowgirls have always been, and always will be—pioneers. They didn’t need anyone to tell them they were the equal of a man, because they did their share of the work. They can load the shotgun, take out the feed, and bring home the bacon. They do it all with the same deliberate drive they handle everything else: needs must. That’s right, if it needs doing, she gets it done whether it’s hiring the right person or learning how to do it herself. So what do these remarkable women want? She wants the job done, she appreciates hard work and respects those around her who are just as willing as she is to roll up their sleeves and get to it. She uses big words, little words, real words, and slang. She doesn’t need you to play dictionary or tell her that what she just said didn’t include a real word—if you got the gist, then you understood her. She wants to eat in peace. She likes her food spicy, with lots of flavor. Burning the roof off her mouth may not be the goal so don’t scoff if she goes for the mild or the medium salsa. She wants respect. She’s usually skilled at her job, and doesn’t need you to tell her how to do it unless you’re actually training her for a brand new position. In which case, talk to her like she’s an adult and not your sweetie. She knows her own value, and if she says bless your heart, she knows yours too. She likes fried foods, she likes salads, she likes fancy coffees, and a good old fashioned glass of lemonade. Don’t mess with her BBQ though, because like jerky—BBQ is its own food group. She wants a guy who knows all of this, and encourages her to be her while welcoming her as a partner and acts as a partner in return. She wants you to know, she has her own opinions. When she wants yours, she’ll ask for it. 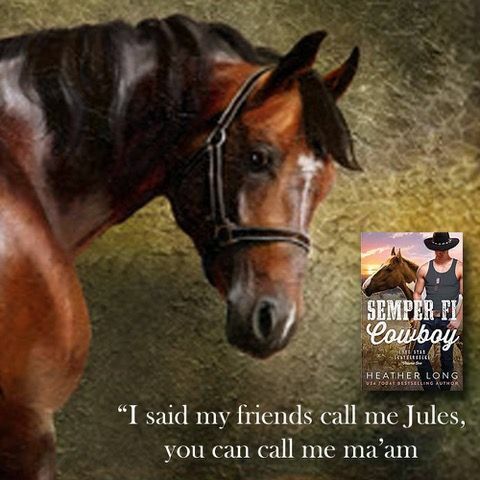 Julia Heller, my heroine in Semper Fi Cowboy, is a cowgirl through and through. She knows what she wants, and she knows how to get the job done. 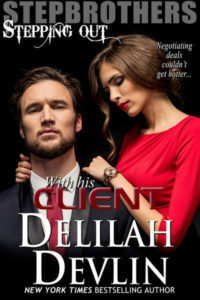 When Tanner Wilks returns to Durango Point, he’s going to have his hands full and he’s just the guy to appreciate what Jules has to offer…if he can prove that to her. Grab your copy on June 26th! Don’t miss the Goodreads giveaway going on right now! USA Today bestselling author, Heather Long, likes long walks in the park, science fiction, superheroes, Marines, and men who aren’t douche bags. Her books are filled with heroes and heroines tangled in romance as hot as Texas summertime. 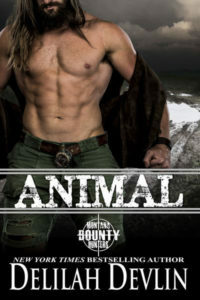 From paranormal historical westerns to contemporary military romance, Heather might switch genres, but one thing is true in all of her stories—her characters drive the books. When she’s not wrangling her menagerie of animals, she devotes her time to family and friends she considers family. She believes if you like your heroes so real you could lick the grit off their chest, and your heroines so likable, you’re sure you’ve been friends with women just like them, you’ll enjoy her worlds as much as she does. Heather’s other fantasy romance series include the paranormal westerns Fevered Hearts starting with Marshal of Hel Dorado, Black Hill Wolves, which starts with What a Wolf Wants, Witches of Mane Street, Mongrels, and the upcoming Bravo Team WOLF series. Her contemporary romance series include: Always a Marine, Going Royal, Elite Warriors, The Love Thieves, beginning with Catch Me and Lone Star Leathernecks, beginning with Semper Fi Cowboy. Heather is well-represented in fantasy with her her superhero series Boomers, a sci-fi western called Space Cowboy Survival Guide, an urban fantasy series called the Chance Monroe Adventures, and a stand-alone ghost novel titled Haunt Me. Whoever the group was they had talent, and as Tanner studied the newcomers, he focused on a woman who slid over to the bar and drained a glass of water while the musicians found their rhythm. A minute later, she glided back onto the dance floor. For the next three songs, she traded partners. The woman could move. Tall, long-legged, and beautifully curved, she also had a gorgeous face, from her generous mouth—which pulled into an easy smile—to her sweet, dark eyes. Dark hair clung to her cheeks, and her sleeveless white top gave Tanner a good look at her toned arms. He didn’t know her. She didn’t even ring a familiar bell, but she sure as hell looked fun. When she waved off a fourth man swooping in for a dance and headed to the bar, Tanner enjoyed the light, strutting cadence to her walk. Someone had taken her spot, so she sidled up to the bar next to him. “In a bit.” She took a long drink of the water. The slender column of her throat convulsed with each swallow, and a fresh wave of lust crashed through Tanner. Damn, what he wouldn’t give to trade places with the glass. “Put her wine on my tab, Sully,” Tanner called. The number of dance partners and lack of a ring gave him hope she was free. Nothing ventured, nothing gained. Sully hid a smirk, but he had other customers. “Jules.” Was it short for Julianna? Or Julie? Something else entirely? He liked the sound of it. Maybe it was the beer mellowing him out. Maybe it was being home. Or maybe it was simply watching her, but he wanted to spend some time with Miss Jules. “I said my friends call me Jules, you can call me ma’am.” She chuckled, then drained her glass of water and started watching the band. They’d switched to a slow song. Shaking her head, she lifted the hair from the back of her neck. From her flushed cheeks to the gleam in her dark eyes, she was stunning. “I’d be happy to call you ma’am.” The sentence worked, and Jules returned her attention to him and her eyebrows raised. This entry was posted on Thursday, June 22nd, 2017 at 8:26 am in Contests!, General. Tagged: excerpt, Guest Blogger, Western. You can feed this entry. Both comments and pings are currently closed. This sounds wonderful. Thank you. On my wish list! I look forward to reading it.